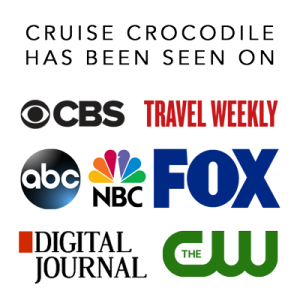 Our Port Blair cruise port guide gives you information about the docking location, cruise dock, transportation options and much more! 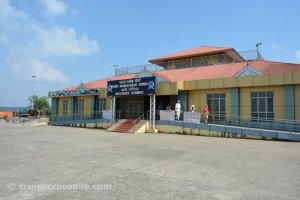 Welcome to the Cruise Port Guide – Port Blair. 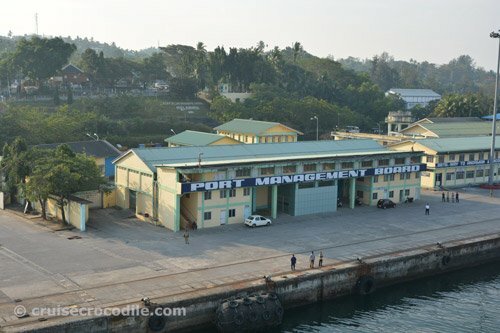 With just a 100.000 inhabitants Port Blair is still the largest city we can find on the Andaman and Nicobar islands. This archipelago forms an union territory of India in the middle of the Indian Ocean in the southern reaches of the Bay of Bengal nearh Thailand. It’s a collection of 572 islands of which 38 are inhabited. The Andaman and Nicobar islands are a rare destination and not many people get to visit it. You will find it in such a remote part of the world that is often overlooked. Nevertheless what you will find on these islands is definitly not Indian, but a whole identity on its own. Known for its birds, beaches and scenery. Nowadays the city of Port Blair is a clean, organised and easy town, but lets not forget the history behind this settlement. When back in the days these islands were chosen by the British is the island to send hundreds of freedom fighters. Away from the rest of the world these men were imprisoned in the Cellular jail and other places. When you ar there, make sure to visit a couple of the places to get acquinted with the history that was so important in shaping the modern world. Whatever your interest is Port Blair can offer scenery, history and wildlife. Plan your day ahead to make into one you wont forget any time soon or have an easy day in town. This the port of Port Blair where cruise ships can dock for the day. You will find the cruise terminal on the dock. It has limited facilities. There might be some small shops for souvenirs, but that is about it. This is where you get that overview of port. The terminal is on the left on the dock. Directly behind it is where you find the exit of the port where the rickshaws are waiting for you. This is what you will encounter at the exit of the port about 300 yard walk from the ship. Rickshaws are waiting here for tours etc. Cruise ships dock at Port Blair’s Haddo pier. The Haddo pier has a simple cruise terminal that will be shared with other ships. There are just some simple shops that might be available in the terminal building. 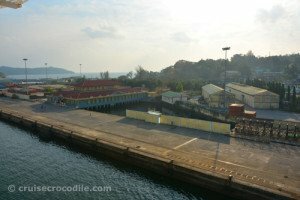 The dock is about 4 km away from the city centre of Port Blair, because of the limited availabilty of taxis your ship will hopefully offer a shuttle service to town (Aberdeen bazaar). Check with your front office what the case is for your call. Keep in mind that on these island everything is very limited. There are only a few tour busses, not that many taxis, limited public transport, however there is an abundance in tuk tuk / rickshaws. On the Andaman and Nicobar islands you will find the old true Hindustan Ambassadors taxi. 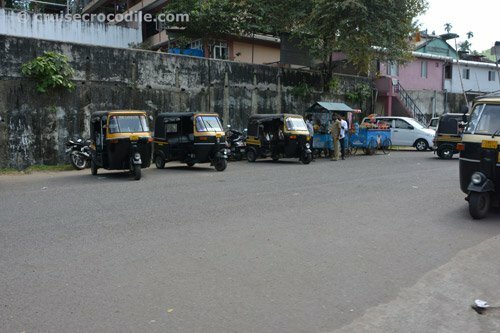 These are “King of the Indian Roads” and according to Top Gear the best taxi in the world. And although all official taxis are Ambassadors you will notice that there are also a lot of tuk tuks/rickshaws around town. Both taxis and rickshaws are yellow and black and both have a meter. The rickshaw is just more accessible and also cheaper. At the dock you usually just find rickshaws waiting for you at the exit of the port. Negotiate a nice price before you step into the rickshaw. A ride to the city centre should be no more than 10 US dollar and for a taxi tour negotiate toward 10 US dollar per hour. You can pay in Indian Rupee or US dollars. Your destination being an archipelago you could understand there are a lot of ferrys that connect to the other islands. Especially Ross island is a very popular one due ot its historical significance as it was the base for the British Administrator and the Japanese coverted the site into POW camp. You can catch the ferry from Rajiv Gandhi jetty (see map). The journey only takes 15 minutes. It is wise to opt for a guide. If you are looking to make the most out of your day. If you know you want to explore the marine parks, the islands surrounding Port Blair or want to go diving it is wise to prearrange something. 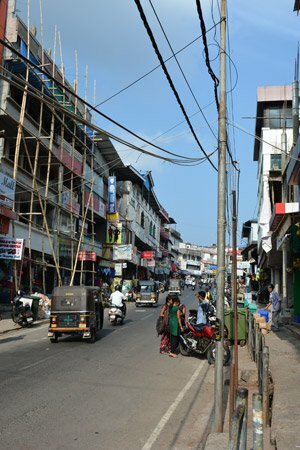 Port Blair city centre 4 km / 10 min drive south east. Wandoor 28 km / 40 min drive south west. Where can I go snorkeling? At Corbyns cove or Wandoor. Can I pay with US dollars? Yes, you can. Is the beach safe to swim at? Yes, however double check with the life guard as sometimes there might be some crocodiles there. Where can I find wi-fi? There is an internet cafe in town. Is it safe to eat in Port Blair? Yes, it is, but use your common sense. Is Port Blair wheelchair friendly? Unfortunatly not. Transportation is not yet accessible. You do notice side walks are getting adjusted and it will be better in the future. Port Blair is an archipelago so you could understand there are a lot of ferrys that connect to the other islands. Especially Ross island is a very popular one due ot its historical significance as it was the base for the British Administrator and the Japanese coverted the site into POW camp. You can catch the ferry from Rajiv Gandhi jetty (see map). The journey only takes 15 minutes. It is wise to opt for a guide. This Hindu temple stand on the shore lines of Port Blair. It is small but definitely worth to visit and to learn about the use of this temple. Right int he middle of town we find an imposing golden statue of Gandhi right in the middle of a roundabout. It deserves such a prominent spot because of his role in the history of India but also for the Andaman islands. On the Andaman and Nicobar islands you will find the old true Hindustan Ambassadors taxi. These are “King of the Indian Roads” and according to Top Gear the best taxi in the world. And although all official taxis are Ambassadors you will notice that there are also a lot of tuk tuks/rickshaws around town. The Aberdeen bazaar is not really a bazaar. It is a street of shops on which several small markets can be found. Buy everything and anything here. When you get the chance collect a 20 IDR bill. You will see it depicts a small lighthouse. When your ship sails out, sit down and see if you can spot this exact same lighthouse on the portside. This is the National Memorial Monument of the freedom struggle of India. It is a symbol of suffer and never ending struggle. 400 freedom fighters were held here at Cellular Jail. Learn about these struggle and the conditions under which the freedom fighters were held here at the jail. This truly is the most amazing site of Port Blair. Cruise ships dock at the Port Blair Haddo Warf. There is a cruise terminal available with limited facilities. The cruise dock is not within walking distance of the center of town so you will need some form of transportation to get there. Check with your ship if there will be a cruise shuttle offered during your time in port. Alternatively you can also take a taxi. 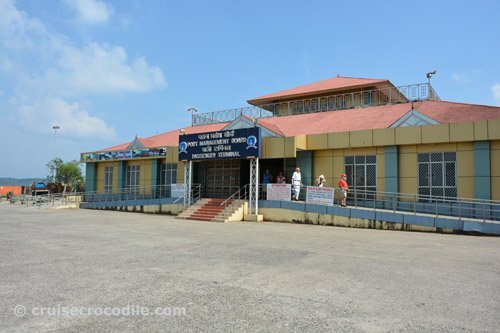 Read the full Port Blair cruise port guide to read all about your options.